Refined tread pattern increases stability and leads to more uniform wear pattern. 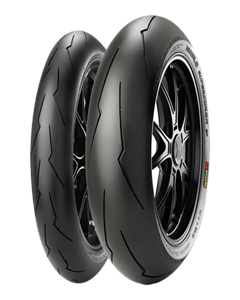 New WSBK derived rear tyre profile offers maximum contact patch size at lean. Increases in cornering grip and traction when driving out of bends.